Milano Design Week is an exciting window into what’s next in furniture and design. It captures all the latest trends, newest styles, materials and products, and provides inspiration from leading design brands. Here are just a few highlights from the vast furniture and lighting-filled halls at Salone del Mobile 2019. Many new accessory lines and designer collaborations with furniture brands were launched. Moooi collaborated with Japan Blue, Denim City and Ecco to present “Tokyo Blue”, an intersection of technology, research and design with indigo-dyed textiles and leather. Woven into striking wall and furniture coverings it is an extension of their ‘Extinct Animals’ nature series. Nanimarquina, known for its sustainable rugs, introduced “Wellbeing” by creative designer Ilse Crawford. The accessory line included a hammock, wall tapestry, throw and cushions, made using traditional craft techniques and local artisans. Danish brand Fritz Hansen unveiled their latest collaboration with Jaime Hayton “Lounge Chair JH97”. Sculptural and mid-century in form, the classic shape was inspired by a pelican. The slender tracks of FLOS Architectural new track lighting system gives the flexibility of being positioned on walls or ceilings. Magnets are the magic, allowing the fixture to be repositioned without the need for tools. The outcome is tech-modern with a minimalist aesthetic. 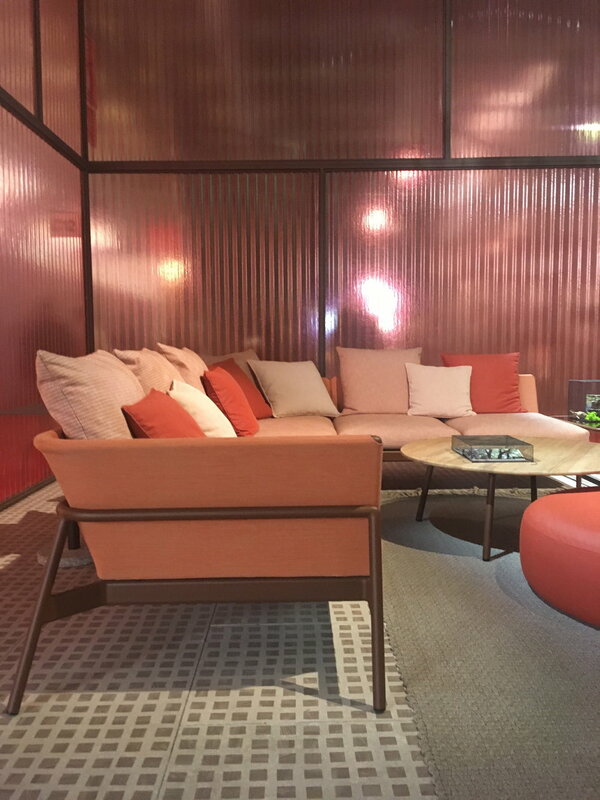 The on-trend color palette was captured in a carpet by Zeitraum. Dusty pink, clay terracotta, moss green, ochre yellow, pale and deep blue gave a Post Modernism vibe to furniture color and shape - think eighties architect and painter Michael Graves. 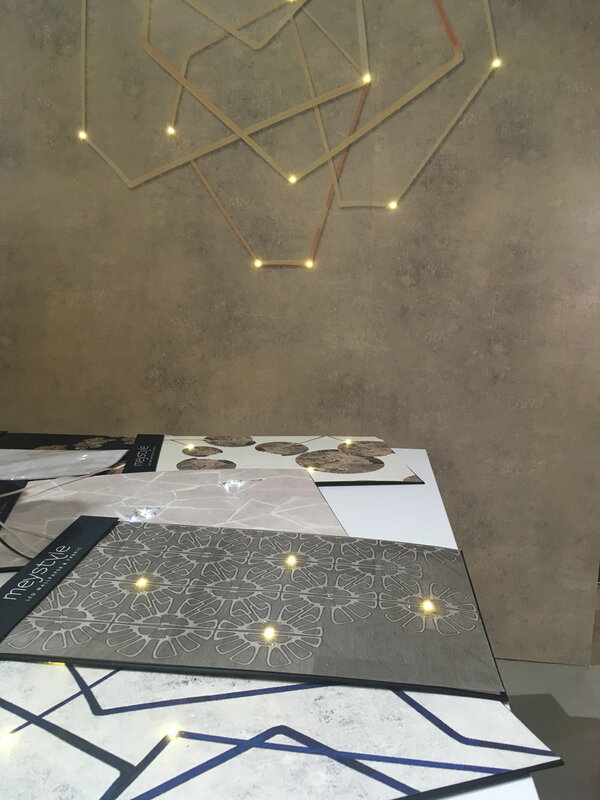 Velvet and oak wood, chrome and mirror surfaces, graphic textural pattern and inspiration from nature were recurring themes. During Milan Design Week thousands of people converge from around the world to experience the best in design. 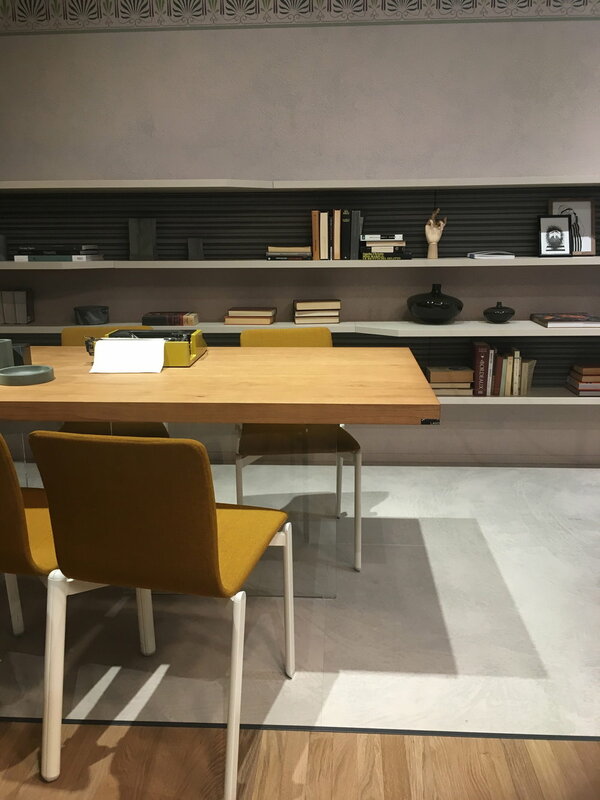 Salone del Mobile forms part of the program, where companies unveil new products and display iconic best sellers in stands constructed to the quality of luxury showrooms. Imagine being submerged in the most beautiful and enviable designer furniture and lighting, within the style capital of Italy - just two words describe the experience - Sensory. Overload. The trending interior colors of pale pastels, jewel-toned teal, emerald green were all on show with burnt orange and ochre yellow new additions to the palette. A soft transparency of these colors also appeared in glass lighting and accessories. Styling details, like layering tables of varying heights to form a coffee table arena, different style bedside tables, draping greenery on bookshelves and hanging lamps low over furnishings were common themes. Serpentine-shaped sofas in the style of Vladimir Kagan, earthy neutrals in muted shades, plush velvet, and stone infused with orange, comprised many of the new collections. Other inspiring highlights were innovations where design meets technology. The stunning LED wallpaper and fabric designed by Meystyle, colorful waterproof textiles in outdoor pendants by Contardi Lighting and other leading brands like Ketall who used building techniques of classic wooden boats for longevity of their outdoor furniture. Review all of these and more in pictures on my instagram and here. PS. Join me for my next Field Note from The Southern Highlands in Australia.